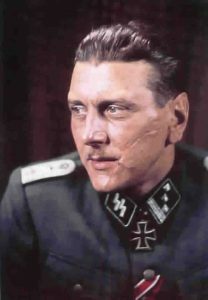 Otto Skorzeny was an Austrian SS-Obersturmbannführer during World War 2. He was involved in a string of operations, including the rescue mission for dictator Benito Mussolini. 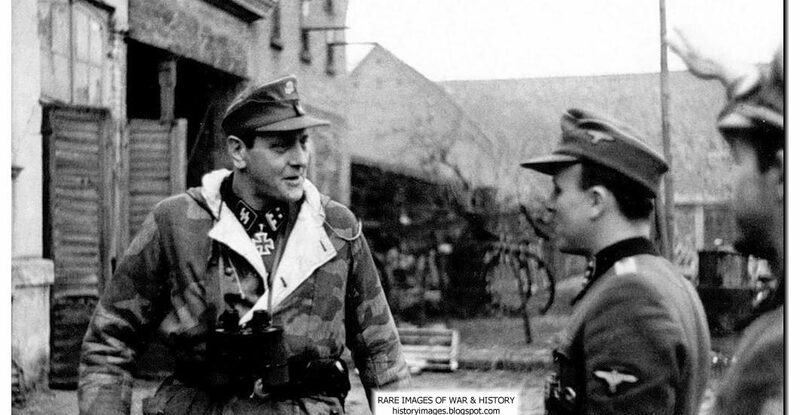 He led Operation Greif, in which German soldiers infiltrated enemy lines using their opponents’ languages, uniforms, and customs. 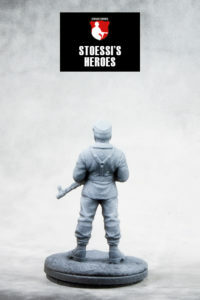 By April 1943, he had been made head of German special forces, in charge of a unit of elite SS commandos. When Hitler’s ally Benito Mussolini was overthrown and imprisoned in Italy, Skorzeny was chosen by Hitler to lead the rescue mission. Skorzeny and his men descended in gliders upon the remote Italian mountain-top hotel where Mussolini was held captive, overwhelming the Italian guards with the surprise attack and freeing the deposed dictator. With this success, he further enhanced his reputation with Hitler and was promoted to major. He gained international renown when Mussolini was paraded in front of the media with Skorzeny at his side. Winston Churchill even described the mission as “one of great daring”. 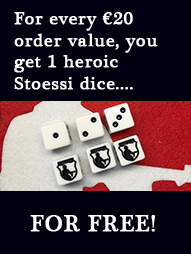 He became the Nazis’ go-to man for such operations. Another occurred in 1944 when Skorzeny and his men captured the son of the Hungarian regent, Admiral Horthy. 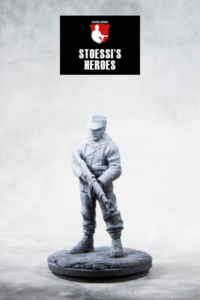 Securing Miklós Horthy Jr after a brief fire fight, Skorzeny’s team then rolled him up in a carpet and put him on a plane to Berlin. 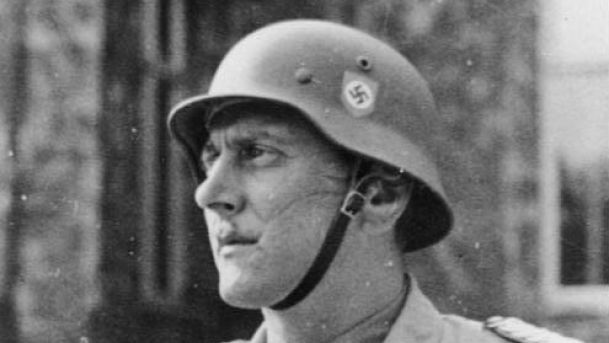 Skorzeny escaped from an internment camp in 1948, hiding out on a Bavarian farm for 18 months, then spent time in Paris and Salzburg before eventually settling in Spain. In 1953 he became a military advisor to Egyptian President Mohammed Naguib and recruited a staff of former SS and Wehrmacht officers to train the Egyptian Army, staying on to advise President Gamal Abdel Nasser. In 1962, Skorzeny was recruited by the Mossad and conducted operations for the agency. He spent time in Argentina, where he acted as an advisor to President Juan Perón and as a bodyguard for Eva Perón. He died of lung cancer on 5 July 1975 in Madrid. He was 67. 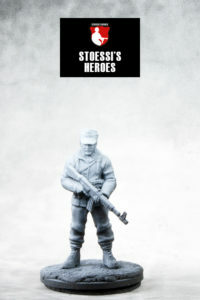 There is a ton more information available on the different operations that he was involved in during WW2. Take a look here. This miniature is now available in our shop and via our resellers.